CHICAGO (WLS) -- A young mother who was shot more than seven months ago during the 2016 Memorial Day weekend has died. Precious Land, 27, was a mother who was paralyzed after being shot while driving to a laundromat just five days shy of her 27th birthday. She had worked at O'Hare International Airport for an airline food service provider. Land was shot while she was driving in the 3900-block of West Lexington in the West Side Lawndale neighborhood, according to Chicago police. Land, of Chicago, was pronounced dead at 9:24 p.m. Friday at Mount Sinai Hospital, according to the Cook County Medical Examiner's Office. The shooting happened one block west of Land's home. She was suffered a gunshot wound to the neck. 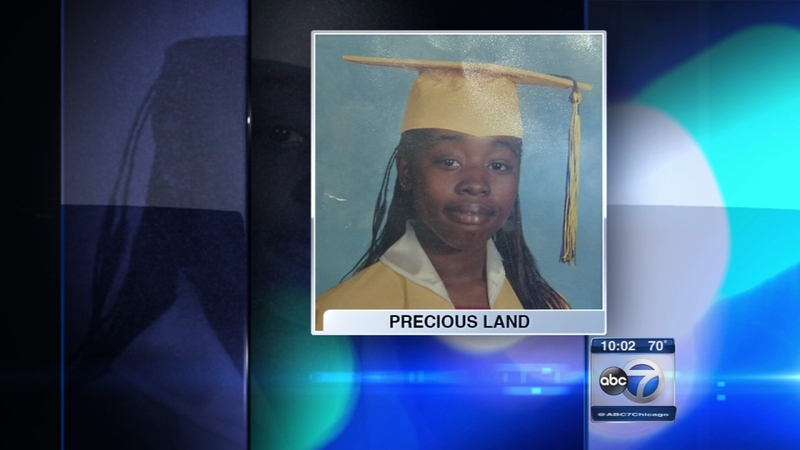 Land was one of nearly 70 Chicago shooting victims during that Memorial Day weekend. Her family believes she was mistakenly targeted because of her car. Land's mother told ABC7 that her heart stopped Friday night due to cardiac arrest.